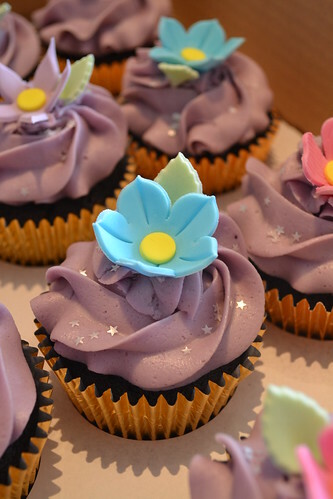 Cupcakes supplied for the showing of Rapunzel at the Deco Theatre, Northampton, originally uploaded by Angelina Cupcake. What are those little star things in the icing? I've never seen those. So cute for the Rapunzel theme! Yeah, the icing seems familiar. I think I saw it once while I was <a href="http://www.nikkybeacharuba.com>dining in Aruba</a> but I could be wrong, maybe just a similar presentation.